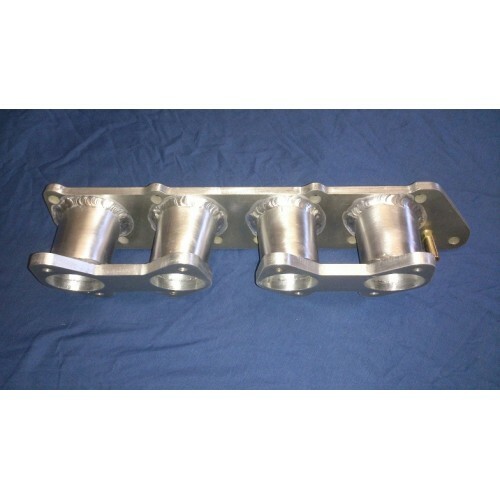 An Inlet Manifold for fitment to the Vauxhall C20XE engine, TIG welded in aluminium and fully internally ground to ensure optimum flow and performance. 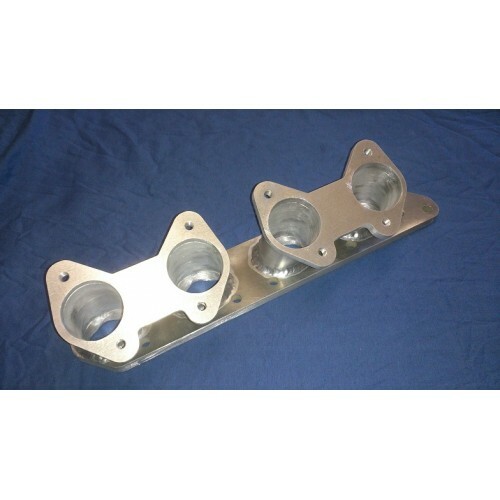 This manifold is designed for the standard Weber DCOE Carb mounting and can be made with 40mm, 45mm or 48mm bore mounting plates. 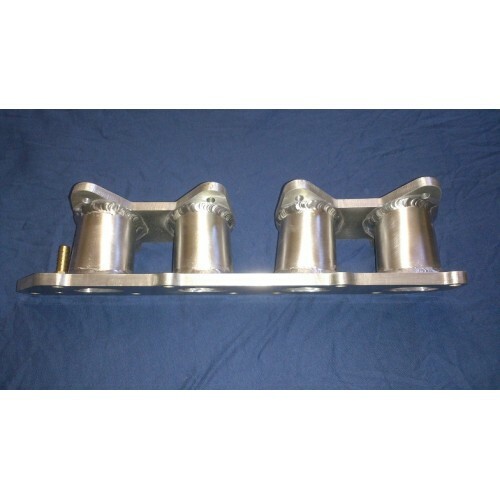 The spacing between carbs 2-3 is 100mm, however this can be adjusted if required (depending on your linkage). The manifold is angled downward to account for the standard 22deg head face, thus mounting the carburettors/ITB's horizontally - again this can be adjusted if required.